7 Billion And Counting: World Population Hits A Milestone As Earth's human population hits 7 billion, there's little agreement on what its future growth will look like. And different countries all face their own challenges to maintain a stable, productive population. Different countries all face unique challenges to maintain a stable, productive population. October 31, 2011  The U.N. says today symbolically marks the moment when the world's population reaches 7 billion. A little more than two centuries ago, the global population was 1 billion. How did it grow so big so fast? 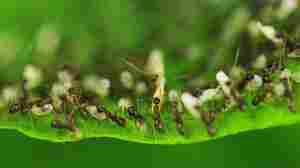 With the help of a sound montage and video, it gets a bit easier to see how the Earth can produce that kind of a crowd. Along With Humans, Who Else Is In The 7 Billion Club? November 3, 2011  There are now 7 billion people, according to the U.N.'s population division. That prompts a question: Who else is in the 7 Billion Club? To learn which other animals had reached that plateau, we asked wildlife experts — who said it's a tough call. November 3, 2011  It's a strategy some countries have adopted to boost falling fertility rates. Here's why it often fails. The population of Karachi, Pakistan, has been boosted by a new influx of young people. 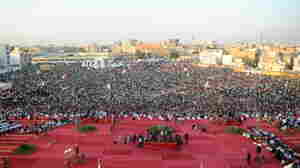 And now the city, seen here during a political rally in January, is making a bid to attract global elites. November 2, 2011  The grandest expression of the world's population growth is the word "megacity." In them, people and ideas clash: The ancient collides with the modern; secular with religious; global with local. In Karachi, Pakistan, those forces can be seen in the story of a single piece of real estate. November 2, 2011  While much of the world worries about how to sustain 7 billion people, in many countries, low birthrates are the more pressing problem. From Germany and Russia to Japan and South Korea, leaders are desperate to reverse a trend of lower birthrates. The world's population has just hit 7 billion people and continues to grow. Population experts are concerned about the rise in consumption that will accompany the increase in people. One California home builder, ZETA Communities, designs and builds small, highly energy-efficient homes. November 1, 2011  As the world's population tops 7 billion people, population experts are worried about inevitable increases in cars, computers, bigger homes and a drain on resources. 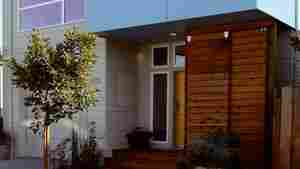 In an effort to combat this, one California company is producing small, energy-efficient homes — some as tiny as 300 square feet. November 1, 2011  Dr. Walter Watson started bringing babies into the world in 1947. Nearly everyone in Augusta, Ga., he says, has been touched by his work. 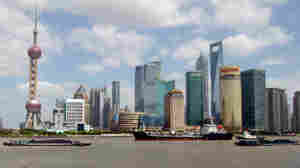 Lujiazui, Shanghai's financial district, includes the world's third- and sixth-tallest buildings. The city's population is 23 million. October 31, 2011  Monday marks the symbolic arrival of a milestone in the world's population: 7 billion humans. And as the number of people grows, so does the need for infrastructure to support them, such as roads and schools. Both China and South Sudan have fast-growing populations, but the challenges the two countries face are vastly different. Several babies born today have been deemed the symbolic 7 billionth person — including a little girl named Nargis in Lucknow, India. Here she is with her mother, Vinita. October 31, 2011  While the U.N. has declared that the world's population hit 7 billion today, it also concedes there's a 1 to 2 percent margin of error. And that the milestone might have been reached six months ago — or might not happen for another six months. October 28, 2011  National Geographic calculates that the most typical person is a 28-year-old Chinese man. Meanwhile, check out interactive tools that estimate how many people were alive the day you were born. Newborns lie together at a district women's hospital in Allahabad, in India's most populous state of Uttar Pradesh. 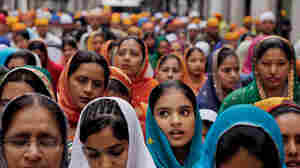 Fifty-one babies are born in India every minute. When Humans Hit 7 Billion, Will It Happen In India? October 30, 2011  When the world's 7 billionth person is born sometime on Oct. 31, there's a good chance he or she will be born in India, where 51 babies are born every minute. 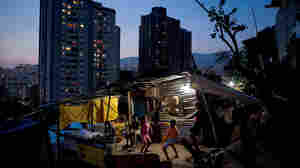 A visit to the most densely populated neighborhood in one of the world's densest cities offers a look at what life might be like for Citizen No. 7 Billion. July 29, 2011  The United Nations says that the seven-billionth person will soon be born into this world — most likely in India, which is on track to overtake China as the most populous nation in just 16 years. Less-developed regions of the world will be responsible for nearly all the global population growth for the next four decades, while the richer nations' population growth looks to be flat. January 6, 2011  It is projected that by 2045, the global population could reach nine billion. That kind of growth — the fastest in history — raises serious concerns about our planet. Can it possibly sustain another 2 billion people? 7 Billion And Counting: Can Earth Handle It? January 6, 2011  The planet's population stands at nearly 7 billion, and demographers project we may reach 9 billion by the middle of this century. Already, forests are vanishing, glaciers are melting and almost 1 billion people go hungry each day. When experts look to a world with 2 billion more people, they see India as a vision of that future. November 2, 2011  To sustain themselves, many nations adopt policies to raise, lower, or maintain their population levels. And while a country's gross domestic product can often help predict its stance, that's not always the case. October 31, 2011  Earth's population crossed the 7 billion mark Monday. The growing population has been the subject of doomsday scenarios, but Colum Lynch worries that the U.S. and other wealthy countries will soon have too few citizens. He predicts the world population will decline by the end of this century. 7 Billion: Trick Or Treat For Crowded Countries? 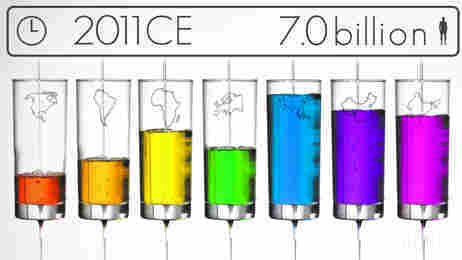 October 31, 2011  Monday marks the birthday of the world's seven billionth citizen, says the United Nations. What does it mean for consumption, congestion and urbanization, particularly in countries like India and Nigeria? Host Michel Martin speaks with Anand Giridharadas, author of India Calling, and Teju Cole, author of Open City.